Parents have told us that it is difficult to get kids to their after school tennis sessions due to work commitments. We understand the stress of managing work and getting children to many after school activities. So we would like to help. 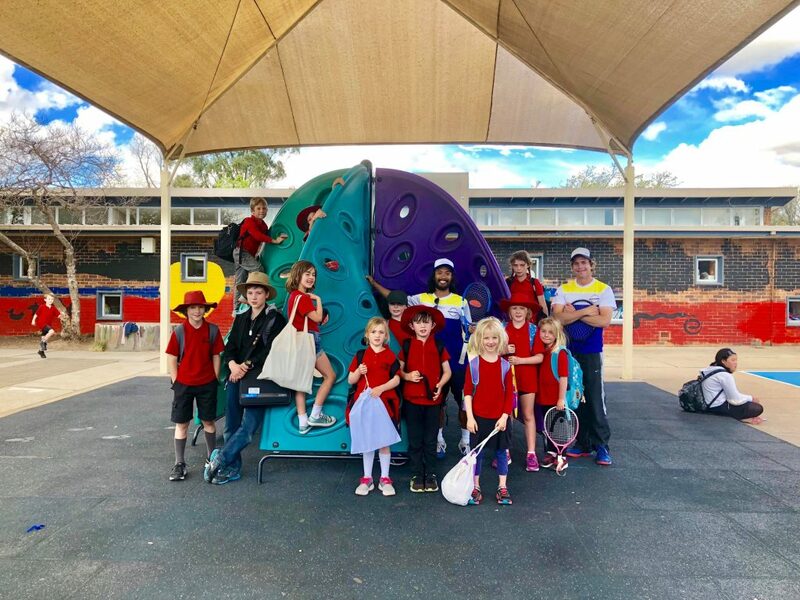 Tennis Canberra’s “Walk-To-Tennis” after school pick up service will give the kids a chance to attend their tennis lesson and their parents the luxury of picking up their kids at a more convenient time. We want all children to have the opportunity to stay healthy and learn a skill they can use for life. Tennis has all the elements to help children develop into great people and we would hate to see anyone miss out. Our North Ainslie Primary Pick Up Point will be in the main basketball courts, Sherbrooke Street side where morning assembly is held. A coach will be waiting with a tennis racquet. 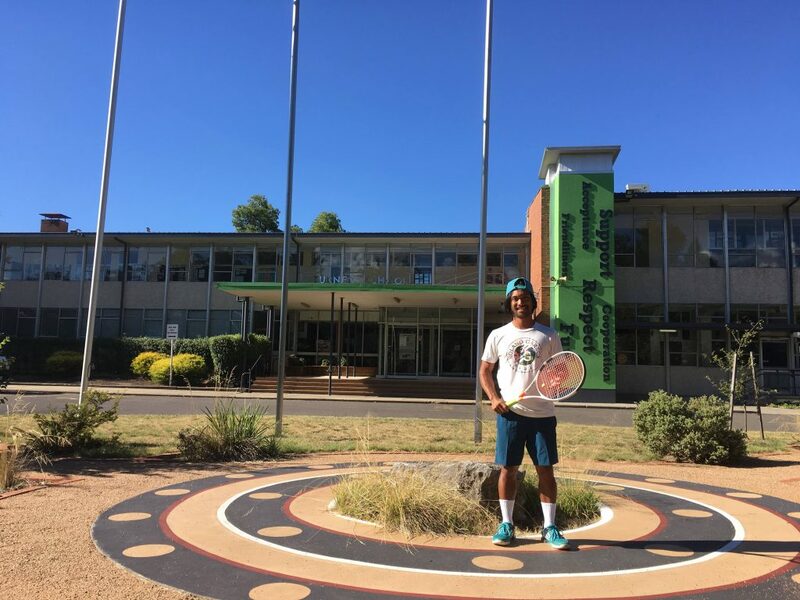 The kids will be walked to Majura Tennis Club, Dickson for their lesson and Parent Pick Up. Our Turner School Pick Up Point is located directly in front of the School Entry on Condamine Street. A coach will be waiting under the flag poles with a tennis racquet. The kids will be walked to Turner Tennis Club for their lesson and Parent Pick Up. 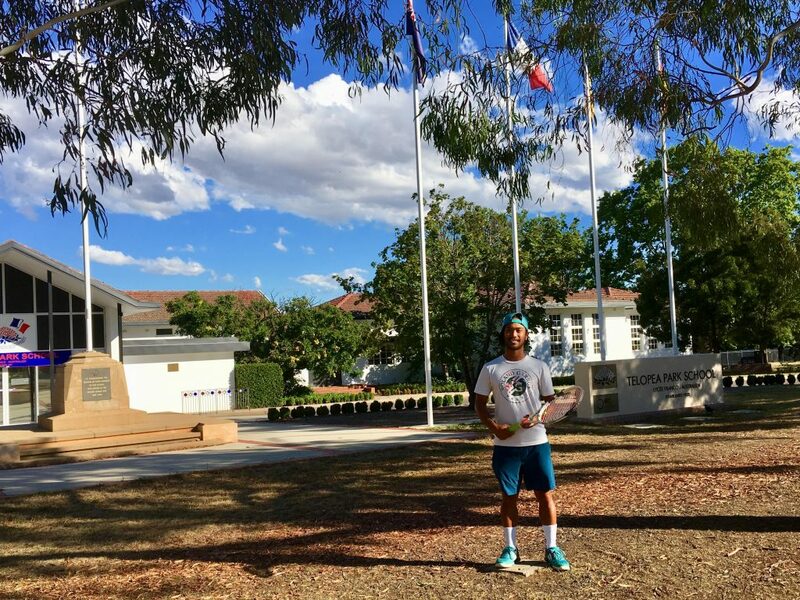 Our Telopea Park School Pick Up Point is located directly in front of the School Entry on New South Wales Crescent. A coach will be waiting under the flag poles with a tennis racquet. The kids will be walked to Wesley* or Barton Tennis Club^ for their lesson and Parent Pick Up. Our Forrest School Pick Up Point is located at the front of the school’s main entrance. A coach will be waiting with a tennis racquet. 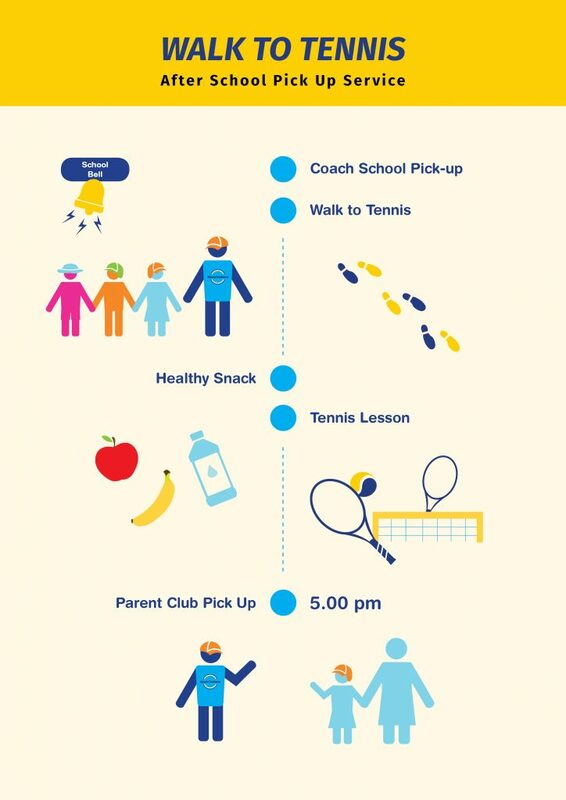 The kids will be walked to Wesley Tennis Club (adj Telopea School) for their tennis lesson and Parent Pick Up. The students will immediately meet the coach at the meet up point once the school bell has rung. Please make sure your kids know where to meet the coach. Please refer to the pick up point photo and description below. If you have any questions, please do not hesitate to contact us. Once all kids are marked off and accounted for, the coach will walk to the tennis club. Every walk from school to the club will always supervised by a coach. Upon club arrival, fruit will be served for the kids. Please pack any additional snacks if required. The school pick up service is an additional service for selected schools. Upon arrival at the tennis club kids will join players from other schools and will be participate in the tennis session according to their playing level. Parents are expected to pick up their kids as close to 5pm as possible. Our coaches will be coaching the next sessions after your kids lessons so the children will be asked to wait at the club house for pick up. Provisional Pick Up’s Coming in Term 1, 2019. Please send an email to express interest.